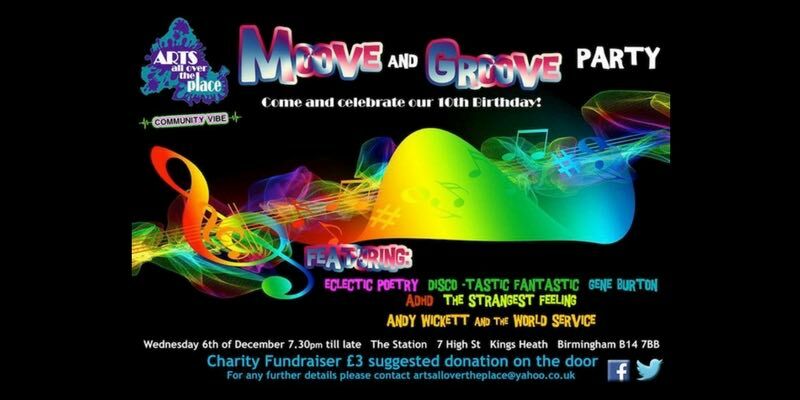 Birmingham based Arts All Over the Place, is staging a fundraising event from 19.30 this Wednesday 6th December, in The Station pub, 7 High Street, Kings Heath, Birmingham, B14 7BB. Arts All Over the Place organises an annual arts and mental event each October. See the poster for further details.